In Denver the natural beauty surrounds us. So why not add to the natural feeling with a custom logo or compass rose? 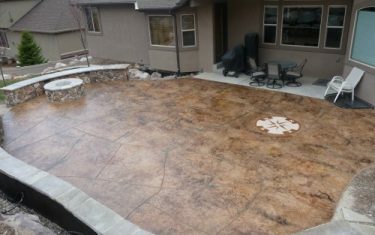 Diehl concrete has the ability to diamond cut or imprint custom logos, patterns, designs and images right into your new concrete slab. 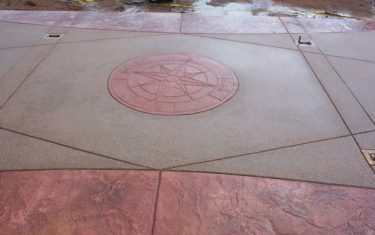 Concrete art does not have to cost a fortune nor do you have to be an experienced “Artist” to get incredible results. 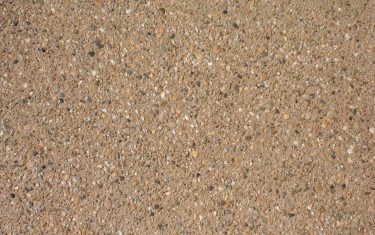 Often times concrete and its natural ability to be contoured, stamped, or imprinted allows for a variety possibilities. 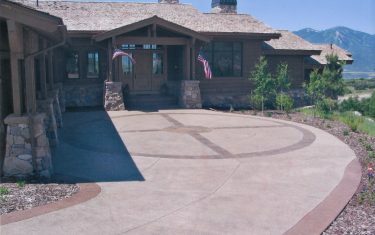 Stamped concrete pattern or emblem. 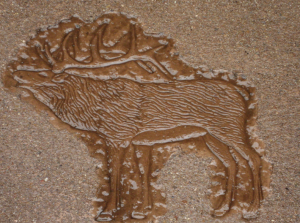 As you can see in the Elk image (Concrete Logo) there are a number of standard and custom templates you can use at the time of the concrete being placed. These rubber stamps can be imprinted permanently into the concrete creating a lasting custom logo, emblem or imprint. Color Staining for an Artistic touch. 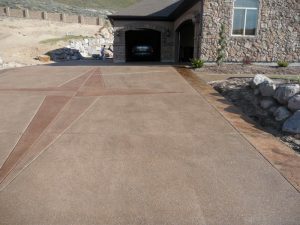 After your concrete is dry and fully cured (or on your existing concrete) you can choose to add a design, pattern or image by using permanent concrete stain or acid stain. 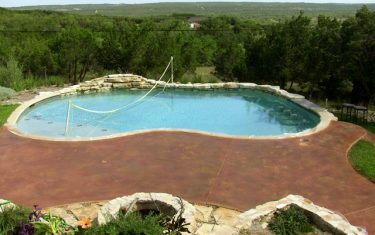 These stains will etch into and deposit color deep into the concretes surface and enable you to essentially “paint” any design you want. 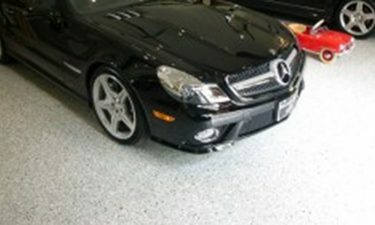 Unlike paint these stains are translucent so they will give color but not take away from the natural variegation found in concrete. Diamond Cut Patterns. 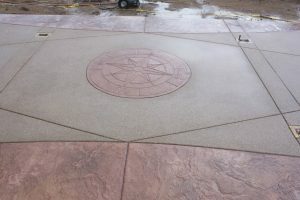 After the concrete has hardened patterns can be cut into the concrete with specialty diamond blades. Concrete diamond blade cutting tools are available in different thicknesses so you can add a grout or cut pattern to suite your specific style. Consider using 45 degree angle tile cuts or large rectangular cuts to simulate Granite slabs or Large expensive slate tile. 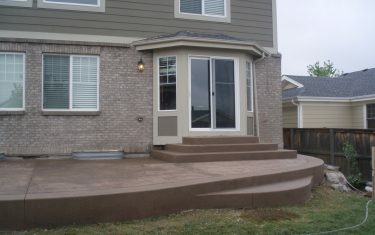 The variety of customization is endless we have a lot of ideas and keep up with the current trends and options available. We enjoy going the extra mile for our clients so feel free to ask us “what’s New in Artistic Concrete” and you will be amazed at the endless possibilities. 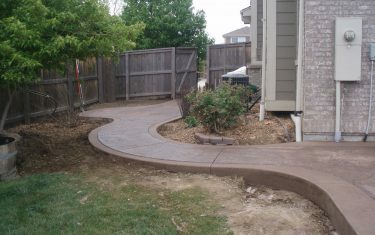 Give us a call and let discuss how we can customize your concrete patio, driveway or walkway just the way you want.